Prepare the area by removing all weeds and debris. Spread a layer of bark 2.5cm to 5cm deep evenly over the bed or border. For best results lay a perforated plastic or fabric membrane under the bark. Cut an x-shaped hole in the membrane and place shrubs and plants into the planting hole under the membrane. Spread the bark chips back under the plant canopy to hide the membrane. Remove any annual weeds as they appear. 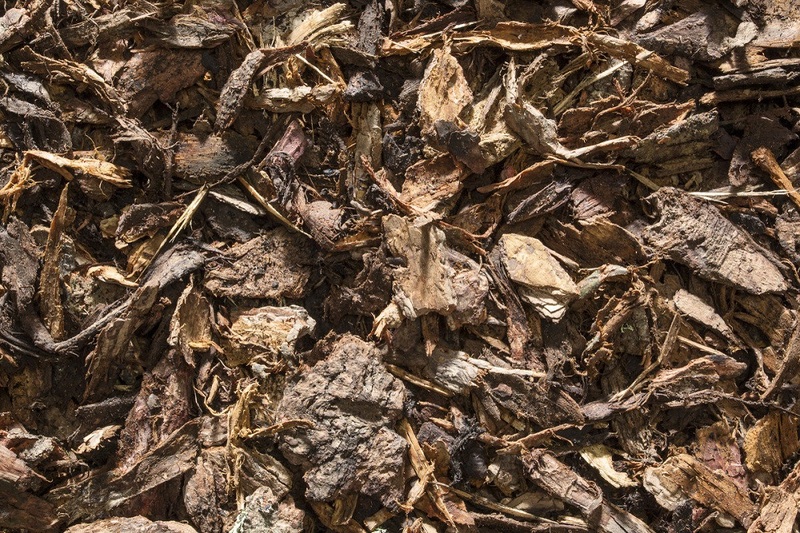 Maintain a good mulch layer and replenish with fresh bark annually. Leave a 5-7cm space at the top of each container. Spread a 3-5cm layer over the top of the compost or soil. This will provide a thermal insulation making the pots less likely to dry out. Remove annual weeds as they appear. Check the compost underneath is fresh at least once a year and top up the bark.